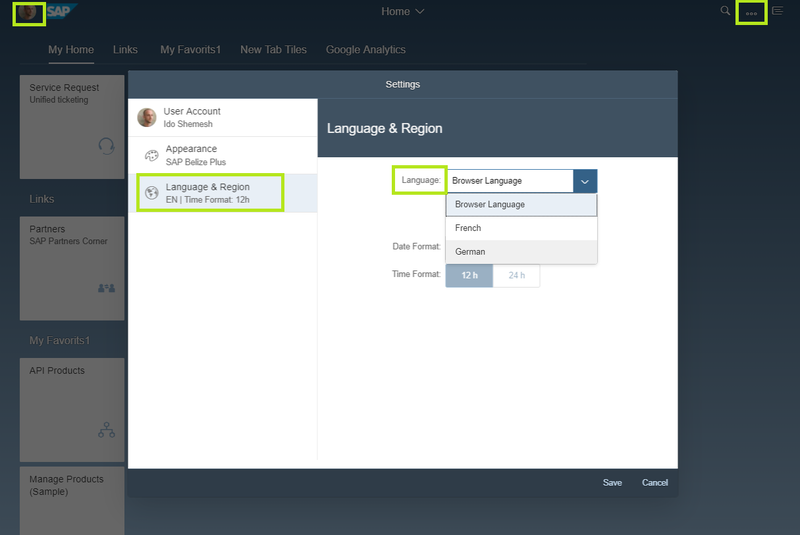 Since the October 2017 release, SAP Cloud Platform Portal admins can enable language selection for their end users. 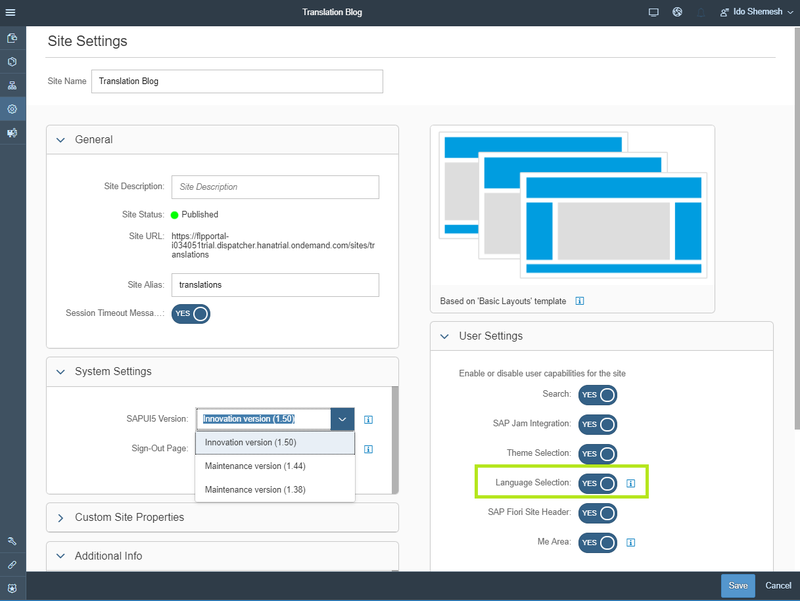 For Portal sites using SAPUI5 versions 1.48 and above, language setting is enabled in the Site Settings screen for freestyle sites (in the Site Designer) and Launchpad sites (in the Fiori Configuration Cockpit). 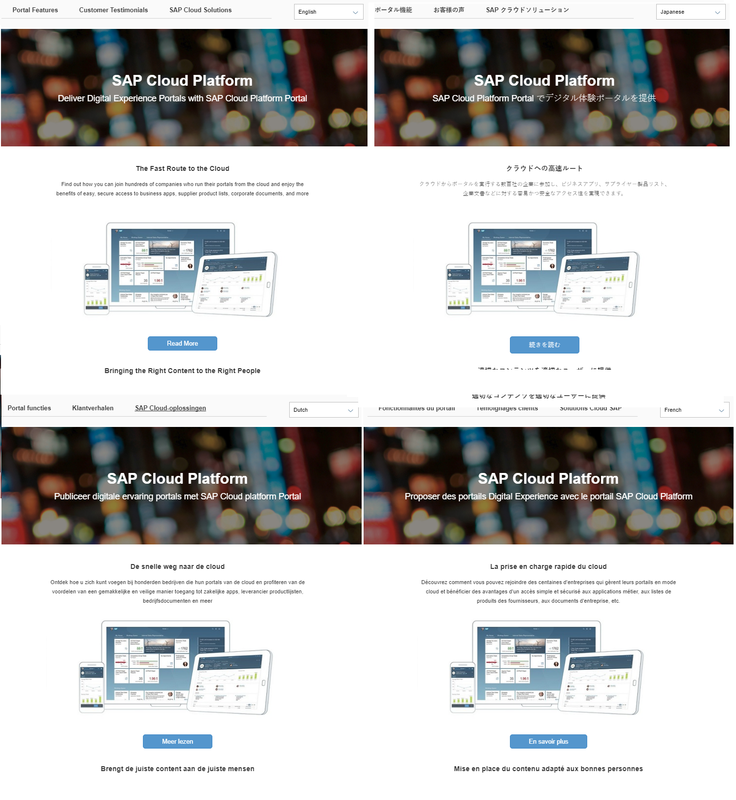 Portal admins can manage the translations available in their Portal sites using the Translation Service available in the Site Designer and use the SAP Cloud Platform’s Translation Hub Service to create the actual translations in the desired languages. 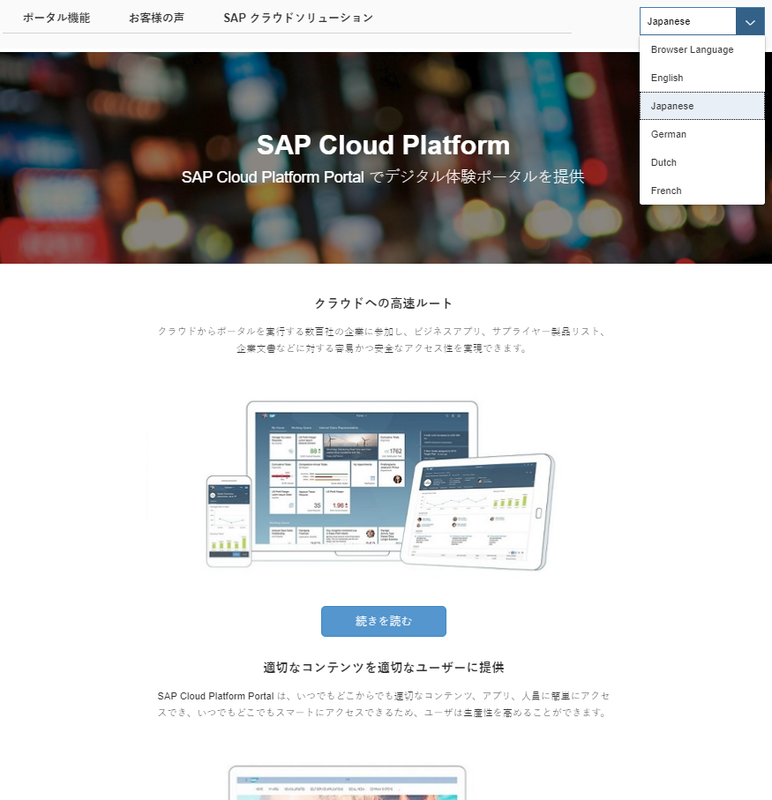 The whole flow is described in this blog: Feature Showcase – Translating a Portal Site using SAP Translation Hub and can be applied to both Fiori Launchpad (FLP) and freestyle portal sites. But what if your freestyle portal site doesn’t use the Fiori shell header or you just want to create a different user experience for end user language selection? 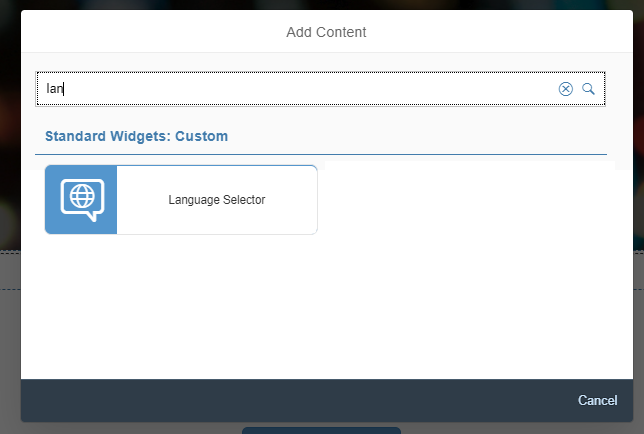 In this blog, we will go through the steps required for creating a custom language selector widget for freestyle sites. The APIs we will use can be used in a Shell Plugin to create a custom language selector for an FLP Portal site. You can try it out for yourselves in the freestyle portal site we created for this blog. Open the link and login with your SAP Community ID. 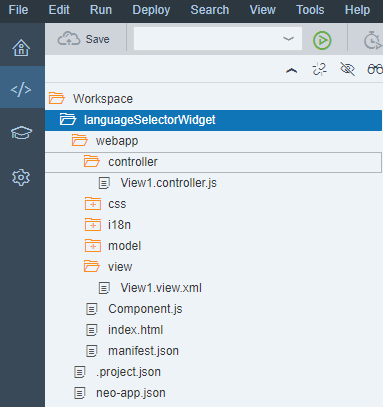 For the language selection, we will use a simple SAPUI5 Select control in the application’s View file, however you can create your own experience with raw HTML, external JS based library controls or any alternative SAPUI5 controls. Uses the UserInfo shell service to set the logged in user’s language and update the user’s preferences. Reloads the browser window to apply the changes. Before proceeding with this step make sure you’ve enabled the Portal plugin for SAP Web IDE. To run the SAPUI5 application embedded in freestyle portal site page we need to convert it to a portal widget. Notice that a new descriptor file was created in the project – the file contains the properties used to represent the widget in the portal’s content catalog. 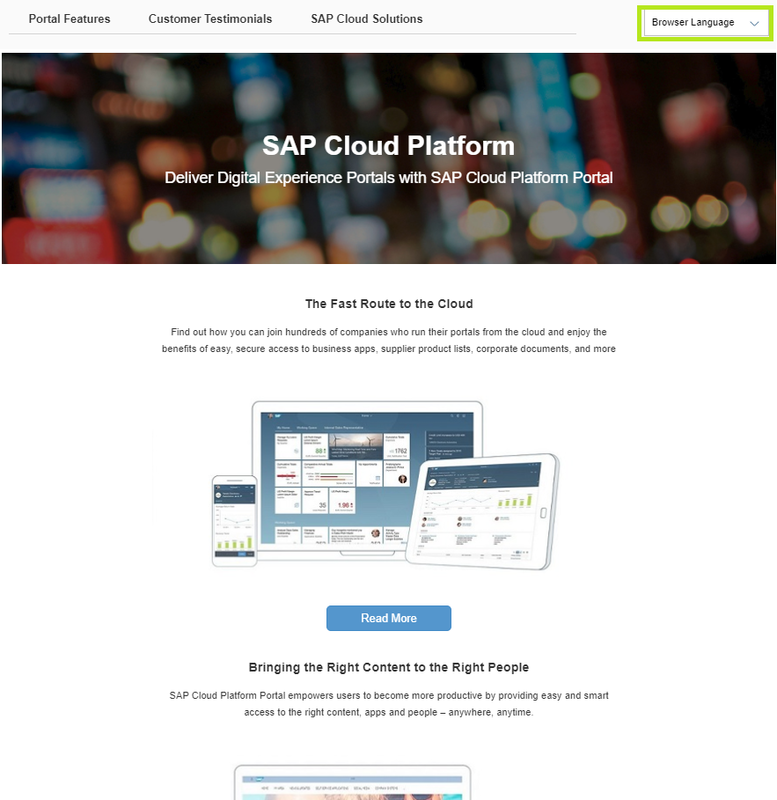 Now the app is ready to be deployed to the SAP Cloud Platform and made available for Portal Admins to add to their portal sites. Add applications, web content, navigation menus, widgets and specifically the new language selector widget. For more information on building freestyle Portal sites – see the related documentation. Finally, publish the site and try the language selector widget. Switch between the languages and notice that the selected language is applied to the logged in user when ever he accesses the site. Thanks Ido Shemesh for the great blog. One small question can we have prototype made using BUILD directly embeded in portal sites or we will need to first import them in Web Ide and proceed like above? 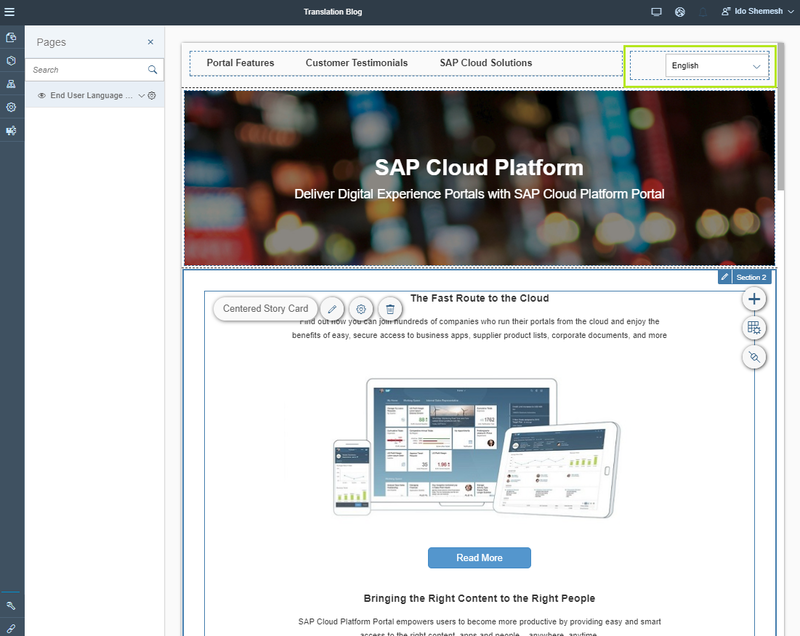 You will need to import the published BUILD prototype in Web IDE to generate the code and from there deploy to the SAP Cloud Platform account to make it available in the Portal.